Are you ready to take education to the next level? Is your child still eager to learn, even after playing the game? JumpStart Academy Kindergarten knows that as a parent, you’re always looking to find ways to encourage curiosity and a hunger for knowledge in your kindergartner. That’s why we offer an abundance of worksheets, games, and additional parental support under the “Resources” tab. Here, you can find compelling Common Core curriculum-based activities. 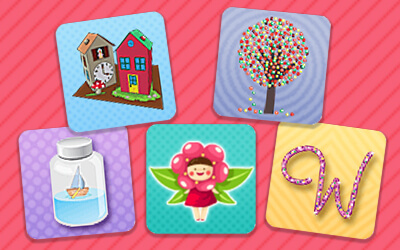 They all cover a variety of topics and themes, from math, reading, writing, phonics, physics, and holidays. Each of these items can help give your kid a head start on their peers. You can also take an active role in your little learner’s education by taking part in these activities together. The “Resources” tab in the Parent Center will provide you with the materials that will help you take an active role in your child’s education. 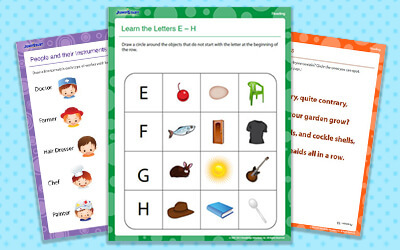 Whether it’s a worksheet, experiment, or game, your little scholar will fall in love with learning, and you’ll love having easy access to additional resources. Take a chance and peruse through the enriching opportunities that will get them ready for the rigors of kindergarten and beyond.